Jasmine Express is a famous bus operator based in Kedah. With their strong presence in Northern Malaysia, they are the specialist in providing bus service from Northern Malaysia cities to Kuala Lumpur and satellite cities in Selangor. Jasmine Express offers comprehensive bus service with departures from Northern Malaysia cities. Few popular bus route include bus from Butterworth to Kuala Lumpur, bus from Alor Setar to Kuala Lumpur and Bukit Mertajam to Kuala Lumpur. Other top destinations include Ipoh, Shah Alam, Klang and more. You can check the availability from the list of the routes below. 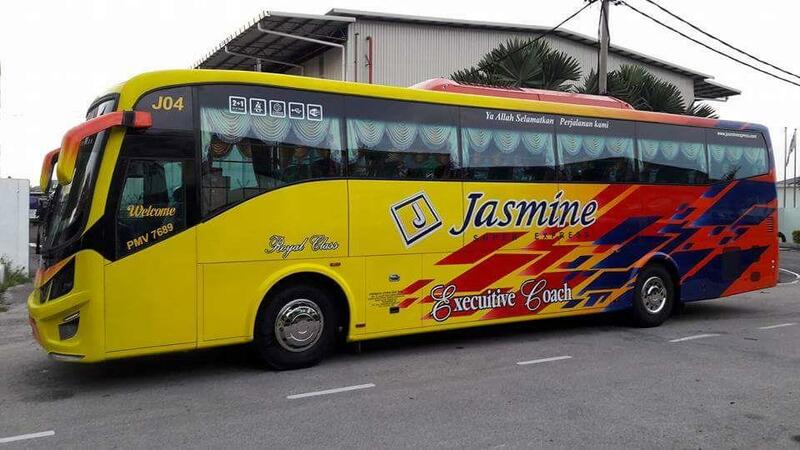 Jasmine Express coach fleet is standard VIP 30 seater coach with 2×1 seating arrangement. Hence, the passengers could have a comfortable journey with the spacious seat and sufficient leg room to rest their legs. The quality service that they offer makes Jasmine Express a favourite among passengers. Moreover, their management strives to ensure the safety and comfort of their passengers along the journey. BusOnlineTicket.com is now offering Jasmine Express bus tickets online so you can easily book your tickets anywhere and anytime at your convenience. Save your time and cost with our user-friendly booking machine, and get instant confirmation sent to your email within 24 hours today!